David Le/Gloucester Daily Times. 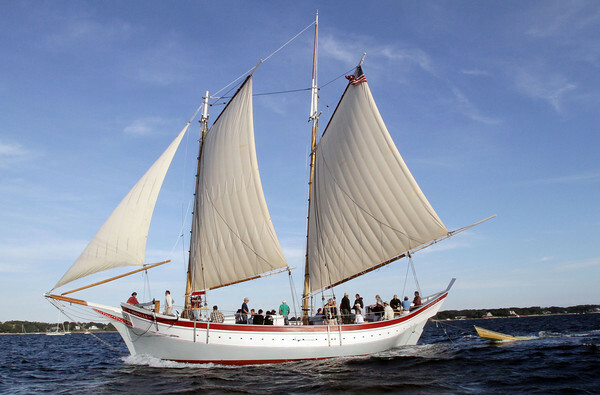 The Schooner Ardelle sails towards Maritime Gloucester on Wednesday evening after making an all day trip from Essex. 8/24/11.